Teenagers didn't always exist. They had to be invented. As the cultural landscape around the world was thrown into turmoil during the industrial revolution, and with a chasm erupting between adults and youth, the concept of a new generation took shape. 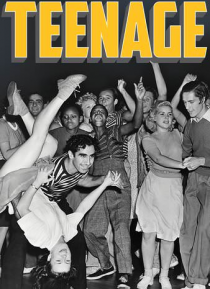 Whether in America, England, or Germany, whether party-crazed Flappers or hip Swing Kids, zealous Nazi Youth or frenzied Sub-Debs, it didn't matter… - this was a new idea of youth. They were all "Teenagers."